Actually lose weight and learn how to lose fat in the abdomen is not so difficult, although many people think so. If it seems it is because the necessary actions are not taken correctly in order to achieve it. The main mistake that is usually made when trying to lose weight, is to try to do it by simply going hungry and consuming fewer calories than one is able to burn. When they tell us how to lose weight drastically in some methods this is basically what they ask us for. Now here is a problem in this method because it is effective perhaps for a specific moment, but the bad news is that it generates what is usually called the “rebound effect” when wanting to lose fat in the abdomen. We are going to call the rebound effect to the weight gained just after making one of these diet plans to lose weight where you go hungry and lose weight quickly. By losing weight in the abdomen quickly and in an unnatural way, we will achieve the opposite. We are going to gain more weight than we had at the beginning of accounts with this rebound effect. Now let’s explain what this rebound effect is. When the body begins to notice a lack of food suddenly, it becomes alert and gives the order to slow down the metabolism, as it believes that it can create more reserves for the body and prevent it from running out of energy in the immediate future. 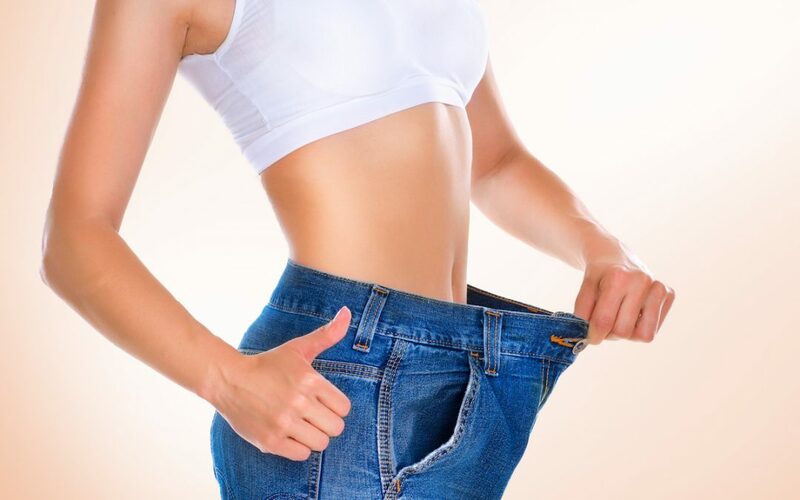 Therefore, at the end of one of these diets we obtain this effect where the body recovers more weight than it had lost and also continues with the habit of keeping the metabolism slow. This is where you begin to have more tendency to gain weight and it will even be harder to lose weight in the future. We can see many miraculous diets, but the truth is that many of them produce this rebound effect. So the best way to lose weight and not get it back is very different. We are going to see several tips to understand how to lose fat in the abdomen with common sense and show you some very basic and important information. We all know that having more years is more difficult to lose weight. Well this is because the metabolism becomes increasingly lazy due to the saturation of toxins accumulated in the body. So our cells and filtering filters like the liver become saturated. You can do our General Body Detox kit program in order to handle this condition taking our nutraceutical products: Alkimia, Algasol, Naturmag. All these toxins lead our body to a condition of congestion or saturation that makes it more difficult to drain or clean and burn fat. So here we have the main cause of the difficulties to lose weight. Even if you eat a little and do some exercise, it becomes hard. The body is excessively loaded with toxins and can not metabolize optimally. Therefore you should do a good debugging first of all and then lose weight quickly and easily. We will find many alkaline foods in vegetables. Cucumber, one of the most alkaline. If we perform a diet with a good proportion of alkaline foods we will achieve a good metabolism of food. Our body digests alkaline foods perfectly since these are very compatible with it and do not generate waste when metabolized. The body is not saturated with these waste so much when consumed and benefits and accelerates the metabolism. It is not that we should make a magical diet that kills us from hunger but rather it is a lifestyle and healthy eating. Only by carrying this style and habit of feeding with alkaline foods can we make eating without fear of gaining weight and we will improve our metabolic regulation, leading to an optimal weight. This will happen naturally and progressively and the lost weight will no longer recover. It will remain stable and without suffering those unpleasant moments of going hungry. Regularly perform certain exercises is essential to keep our body moving as it activates blood circulation, tones the muscles and produces a better figure, even if you do not want to lose weight is very necessary to maintain good health. Of course, if we want to lose weight, exercise enhances the burning of calories and helps drain fluids. In fact, exercise activates and gives us energy. Food supplements that accelerate the burning of calories and that have active ingredients that increase the process of cleansing toxins and improve metabolism are of great help. Algasol is one of these excellent accelerators. By doing these three tips step by step you will be making a safe journey towards a stable and healthy weight. Purify your body, as in advice 1, then once this is done you will be ready for advice 2, which is to carry an alkaline diet to return to your optimal weight. Once purified and if you feed yourself in a healthy way, the complementation of the 3 tip will be the icing on the cake to reach your weight and remain stable and durable. If we apply this data given in the 3 tips during the necessary time, I assure you that you will feel much stronger, healthy and clean. And you will reach your ideal weight sooner than you thought. It works! In fact it is a method that does not fail but you must apply the three steps. It is simple and easy to carry out.